Our beloved wife and mother, Joan, peacefully left our world on Thursday April 4, 2019. She will be happily remembered and dearly be missed by all who were graced by her acquaintance. Joan, who was affectionately known as “Little Cruiser,” was a wonderful mother and homemaker; she earned her nickname as she cruised around the house caring for her seven children. Joan graduated in 1945 from St. Theodore Grade School in Chicago, in 1949 from Loretto High School in Chicago, and in 1951 from McCormick School of Business in Chicago IL. In her spare time, Joan volunteered at the Emmanuel Dining Center, helping to feed and care for the hungry of Delaware. She also volunteered at the Mary Campbell Center, and transported residents of the center to attend mass at St. Mary Magdalen Catholic Church. What Joan adored most was spending time with family, sharing jokes and stories, having cookouts and celebrations of any occasion. We will all miss her more than words can convey, but we find peace knowing that Heaven shines a little brighter with her presence. She is survived by her husband of 65 years, James F. Ward of Wilmington DE; her children James M. of Wilmington; Terry M. of Wilmington; Kevin V (Karen) of Germantown MD; David F. of Wilmington; Carol Ann of Chadds Ford PA; K. Lynn Robinson (Wayne) of Hockessin; and Patrick J. 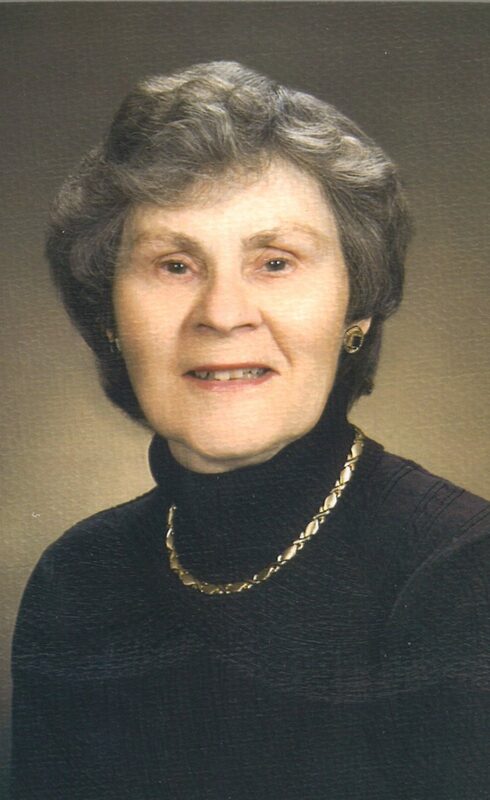 (Loretta) of Wilmington; her grandchildren Cody W. and Owen W. of Hockessin: Rachel E., Kelly A. and Charlotte M. of Wilmington; Amanda C. and Samantha A. of Germantown MD; and Julieta Kang of Crofton MD. A Memorial Mass will be offered at 11:00 am on Monday April 8 at St. Mary Magdalen Catholic Church, 7 Sharpley Road, Wilmington where friends and family may visit from 10:00 am to 11:00 am. Interment will be private. Mrs. Ward was the rock of Berwyn Road. With all the chaos of having seven children and with a neighborhood filled with kids she was always even tempered and accepting of everyone. She seemed to love having us all around and like all the mothers of Berwyn Road was the reason we all enjoyed being on our street. She would laugh at all the stupid things we did and we were always welcome at the Ward house. God bless you Mrs Ward!! To my Uncle Jim and my cousins, I am so sorry for your loss. Aunt Joan was always so friendly and welcoming and generous. Although she had seven adult children by the time I got to know her, she always treated me, and later my family, like we were special. The Ward family has lost a great matriarch. May God comfort you. Joan's family and our family have been very close for 63 years and she will leave a space that can never be filled. Our condolences and our deepest thanks for the time we got to know and spend with such a warm and beautiful person. With love from Deeben, Jul, Ellie, Brandon, and Jackson.